The bookmaker may announce various percentages for the bonus for each depositing method. This is predetermined by the fact that each payment method has a different transaction fee and it is usually paid by the bookmaker. You should bear in mind that some depositing methods may be excluded from the bonus program of the bookmaker. 2) The week day when the deposit has been made. This refers to some Reload deposits, usually those made on low activity days – Monday and/or Thursday. Each bookmaker has a different policy for stimulating activity on specific week days. It is necessary to read the specific terms and conditions of the bookmaker. In order to be able to withdraw the amount presented to you (the bonus) it is required that you demonstrate certain activity, which is different for each bookmaker. The activity is formulated as a number of rollovers of the sum of a certain deposit and the bonus. For example: you have a $500 Initial Deposit and have received 20 % bonus ($100). The bookmaker requires a minimum of 5 rollovers. 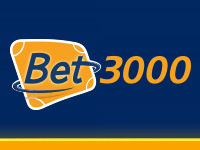 This means that the total number of bets made by you has to reach $3,000 – this is the total amount ($600) multiplied by 5. You will be able to withdraw the bonus given to you only after realizing this rollover. The number of rollovers may differ and is related to the percentage of the bonus and the margin of the bookmaker. The higher percentage of the bonus, the more rollovers are required. When the bookmaker’s margin is lower this also leads to higher requirements for rollover. Sometimes, with Asian bookmakers with a reduced margin and high bonus percentage the requirement may reach to a rollover of the deposit + bonus up to 20 – 30 times. When calculating the roll over, there may be an additional requirement for minimum odds of the betting option so that your bet could be qualified as covering the requirements. For example, the bookmaker may define in his terms and conditions that only bets on odds of 1.50 or higher are taken into account upon calculating the roll over. This will not in any case restrict you from making bets on lower odds, but they will not be summed up by the system of the bookmaker as covering the rollover requirements. Upon defining the rules for receiving the bonus and the necessary rollover, you may sometimes find yet another requirement of the bookmaker pertaining to the type of the bet. For example, only multiple bets containing 3 or more selections may be considered as covering the conditions of the rollover. If your manner of playing includes only single bets you will have to consider whether you are in the position to accept and fulfill the bookmaker’s conditions. This is where we should note that every bonus is optional. If the conditions of the bonus do not suit you, you may as well not use it. The refusal of a bonus does not change in any manner your relations with the bookmaker. You may continue to use the full range of services but without being dependent on the terms and conditions of the bonus offered and respectively refused. The predominant parts of the bonuses are provided by the bookmaker only after the express request of the punter. Upon such a request, the punter confirms that he agrees with and accepts the specific bonus conditions. Sometimes, in order to request the bonus, it is necessary to contact the bookmaker’s support by e-mail, live chat or over the telephone. In other cases the bonus is automatically calculated after you deposit an amount, or for a certain period of time (typically up to 24 hours), if the approval of the bookmaker’s employee is required. If a bonus is automatically calculated for you which you do not want due to disagreement with the conditions, then you are always given the opportunity to refuse it by means of a short letter or other form of contact to the bookmaker. There is a requirement, although not very common, for the punter to realize a certain activity and only then can the bonus be accrued. For example, you deposit an amount, make bets according to the described rules of the bookmaker and it is only then that you receive the bonus. In addition to a specific turnover some bookmakers also require that a certain period of time should elapse (no more than 30 days) from your Initial Deposit so that the withdrawal can be performed. Receiving an Initial Bonus in some cases depends on the verification of the newly opened account. The punter is requested to send documents in compliance with the verification procedure of the bookmaker and the bonus is accrued after covering the required criteria. The conditions for each bonus given to you may be very specific, in some cases they may even be the result of a special arrangement between the bookmaker and a user. The bonus models of the various bookmakers sometimes differ greatly from one another. All this makes it necessary to read the rules carefully and abide by them strictly. – If the bet is made from the basic (cash money) account, then $240 is accrued in his basic account, which is equal to the bet of $100 multiplied by the odds 2.40. In other words, this can be interpreted as returning the initial bet of $100 + the profit of $140. – If the bet is made from the free bet sum, then only the net profit of $140 is accrued in the basic account (cash money), while the original bet of $100 is not returned to the free bets account. 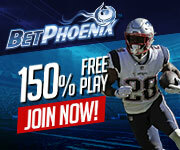 That means that through this winning bet $100 free bets turn into $140 cash money which is already available both for new bets and for withdrawal. The availability of bonuses has always been one of the main criteria based on which punters decide with which bookmaker to open an account. Newly established bookmakers are especially generous with bonuses thus striving to attract new customers and find their place at the market. We are doing our best on www.allforbets.com to maintain an up-to-date list of the most attractive bonuses. In order to be always informed visit our bonus section regularly. You may also receive the newest promotions from bookmakers on your e-mail address. For that purpose, it is necessary to subscribe to our news.